Drew Sterchi & Blues Tribe, featuring Fred Mayes, Drew Sterchi, Burnard Tate and Virginia Sterchi, from left, will play at tonight's Bessie Smith Strut. All events are on Martin Luther King Jr. Boulevard from about Georgia Avenue/Patten Parkway east to about Palmetto Street. Admission is $5 with a Riverbend wristband, $10 without. Riverbend activities move away from the river tonight as everything takes place on M.L. King Boulevard for the Bessie Smith Strut. There has been a renewed push to make the event the popular neighborhood block party that it used to be with more vendors, more music and more people, according to Paula Wilkes, executive director of the Bessie Smith Cultural Center. Most of the activities will take place in front of or near The Bessie. 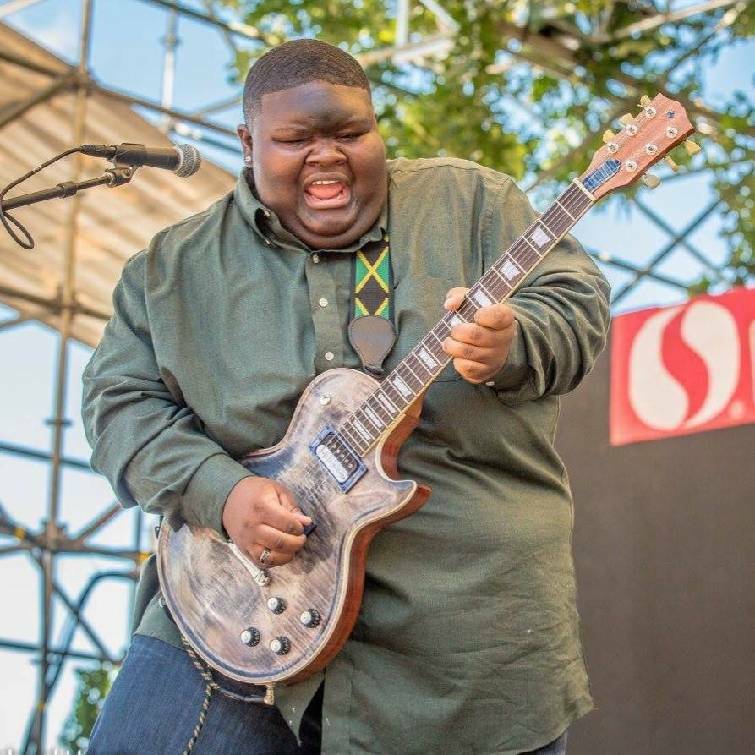 Headlining will be Christone "Kingfish" Ingram, a 19-year-old blues guitar phenom. Ingram developed his love of music at an early age, especially the rich gospel sounds emanating from his family's church and the blues music he regularly heard played in his Delta neighborhood. He is a cousin to legendary country music great Charley Pride, and he trained at the Delta Blues Museum under the tutelage of Richard "Daddy Rich" Crisman and Bill "Howl-N-Madd" Perry. At age 6, Ingram began playing the drums. Three years later, he took up the bass guitar. By 13, he began playing lead guitar. Soon he was fluent in all three instruments and quickly added smooth vocals to his musical repertoire. His influences run the gamut from the Delta blues of Robert Johnson, Elmore James, Muddy Waters and Lightnin' Hopkins to the electric blues of B.B. King, Big Jack Johnson, Lefty Dizz, Albert King and Buddy Guy to the rock of Jimi Hendrix, Prince and Eddie Hazel. Ingram has shared the stage with legendary names such as Bob Margolin, Eric Gales, Rick Derringer, Guitar Shorty, Buddy Guy and many more. He's been a guest on the "Rachael Ray Show" and "The Steve Harvey Show." Ingram also has performed at the White House for first lady Michelle Obama. He will release his debut album later this year. Again, the local draws are strong tonight. Both Drew Sterchi and Deacon Bluz have been playing and promoting blues music locally for many years. Sterchi will be playing an early set with his band, Blues Tribe, at 5:30, and Bluz will be joined by the Holysmoke Band immediately following. Both are on the Bessie Smith Stage.